There’s been a lot written about the individual characteristics of what makes a great founder, but a lot less about what makes a great founding team and how that’s different from a great founding CEO. I think we’ve been imprecise in defining three different roles. In doing so we’ve failed to help founders understand what it takes to build a great founding team. In web/mobile startups the canonical view is the founding team consists of a hacker, a hustler, and a designer. In other domains, the skill sets differ, but the key idea is that you want a team with complementary skills. There’s no magic number about the “right” number of founders for a founding team, but two to four seems to be the sweet spot. One of the biggest mistakes in assembling a founding team is not thinking through the need for skills but instead settling for who’s around. The two tests of whether someone belongs on a founding team are: “Do we have a company without them?” and, “Can we find someone else just like them?” If both answers are no, you’ve identified a co-founder. If any of the answers are “Yes,” then hire them a bit later as an early employee. Key attributes of an entrepreneur on a founding team are passion, determination, resilience, tenacity, agility and curiosity. It helps if the team has had a history of working together, but what is essential is mutual respect. And what is critical is trust. You need to be able to trust your co-founders to perform, to do what they say they will, and to have your back. Most startups that fail over team issues fail because co-founders hadn’t dated first, (spent time together n a Startup Weekend, worked together in an incubator, etc.) but instead jumped into bed to start a company. Everyone has ideas. It’s the courage, passion and tenacity of the founding team that turn ideas into businesses. Idealistic founders trying to run a venture with collective leadership, without a single person in charge, find that’s the fastest way to go out of business. Speed, tempo and fearless decision-making are a startups strategic advantage. More often than not, conditions on the ground will change so rapidly that the need for immediate decisions overwhelms a collective decision process. The founding team CEO is the first among equals in the founding team. Ironically they are almost never the most intelligent or technically astute person on the team. What sets them apart from the rest of the team is that they can project a fearless reality distortion field that they use to recruit, fund raise, pivot and position the company. They are the ultimate true believers in the company and have the vision, passion and skill to communicate why this seemingly crazy idea will work and change the world. In addition, the founding CEO thrives operating in chaos and uncertainty. They deal with the daily crisis of product development and acquiring early customers. And as the reality of product development and customer input collide, the facts change so rapidly that the original well-thought-out product plan becomes irrelevant. While the rest of the team is focused on their specific jobs, the founding CEO is trying to solve a complicated equation where almost all the variables are unknown – unknown customers, unknown features that will make those customers buy, unknown pricing, unknown demand creation activities that will get them into your sales channel, etc. They’re biased for action and they don’t wait around for someone else to tell them what to do. Great founding CEO’s live for these moments. 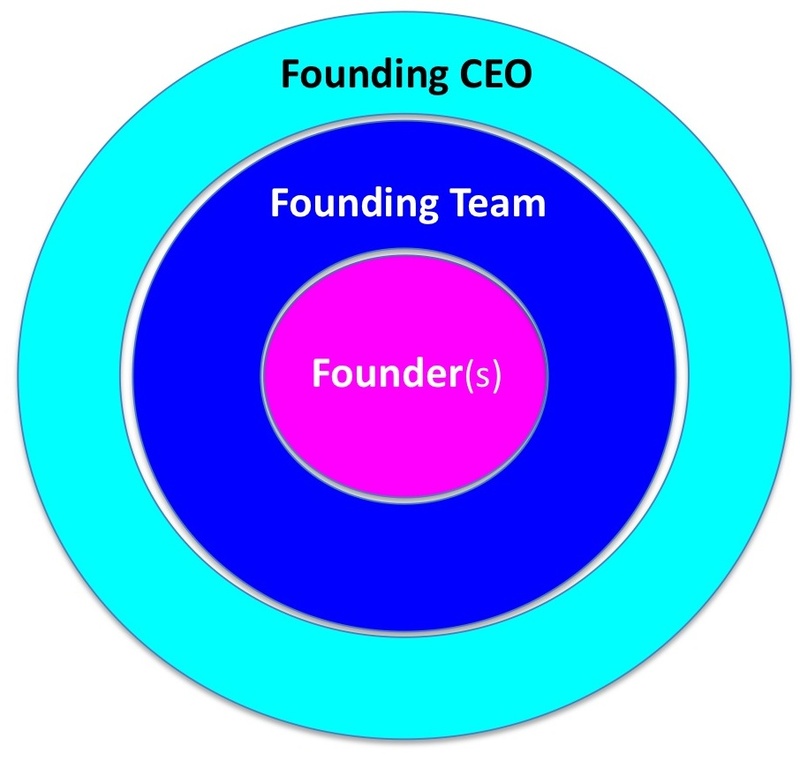 Many founding teams fail because they’ve never had the conversation about founder, founding team and founding CEO. Spend the time and take stock of who’s on the journey with you.